It’s been a long while since we’ve updated, but that doesn’t mean we haven’t been hard at work! 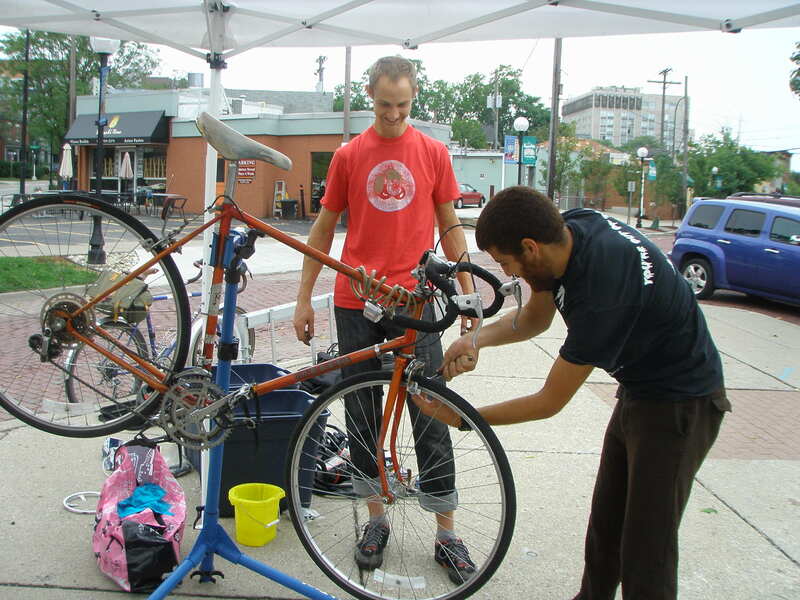 Every Sunday we’ve been at the Artisan Market teaching Ann Arbor how to repair bikes. We’ve helped overhaul bottom brackets, true wheels, and replace tons of cables and housing. This week, Piet helped one industrious fellow replace his front brake (above) . By the time he left, he trued the wheels and had two working brakes! Every once and a while, a really unique bike stops by the MRS. This Schwinn Suburban came by needing a new spoke in its rear wheel. It came from an era when Shimano was pushing their front freewheel system for city bikes; having the freewheel in the front allows you to shift gears while coasting. This wacky set-up never caught on. You can read all about it on Wikipedia. We also helped replace a chain, but the drive train was so worn out the the new chain skipped so much that it was hardly rideable. 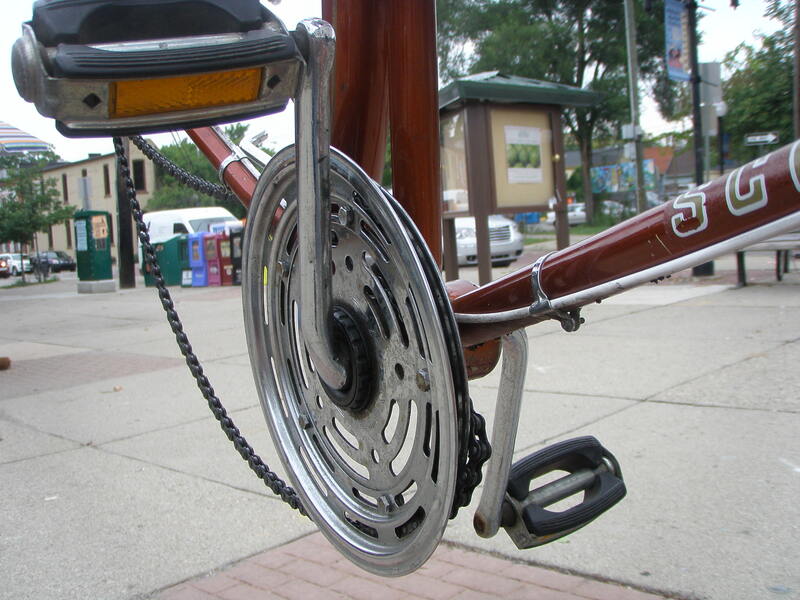 Let that be a lesson – Replace you chain before it wrecks your chainrings! At the end of the day, Bill and Ben loaded up the trailers and hauled the MRS home. See you next week! 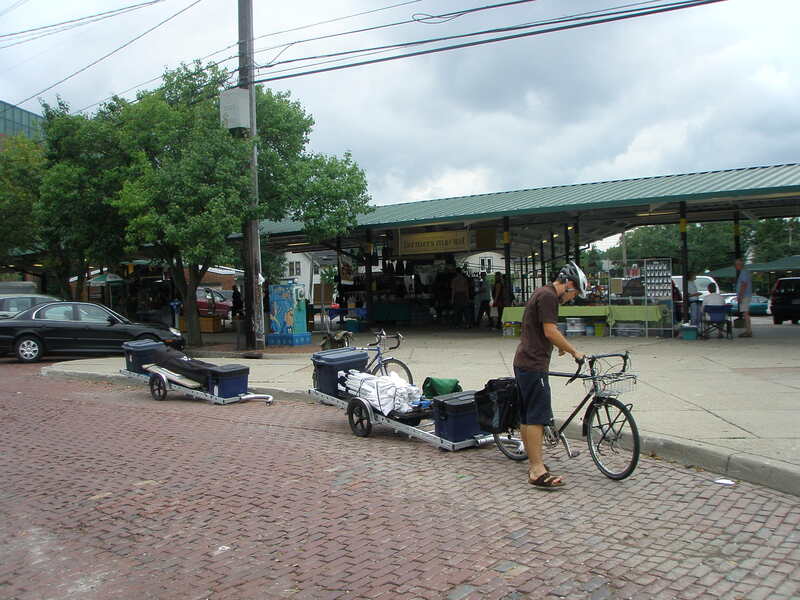 Bill and two loaded trailers.